Carlus Padrissa will direct his own version of the Legend of the Pont del Diable in Martorell, which will be released next Saturday, April 27. The event, which was presented last Friday at the Col·legi de Periodistes de Barcelona, ​​is part of the Fira e Primavera of Martorell. The Llegenda del Pont del Diable according to La Fura dels Baus will be a large-scale show that will become the eighth version of the legend and will be performed twice: at 21.30 h and one at 22.30 h. The show will have the collaboration of the artist Quico Palomar, the soprano Alba Fernández and the baritone Toni Marsol. 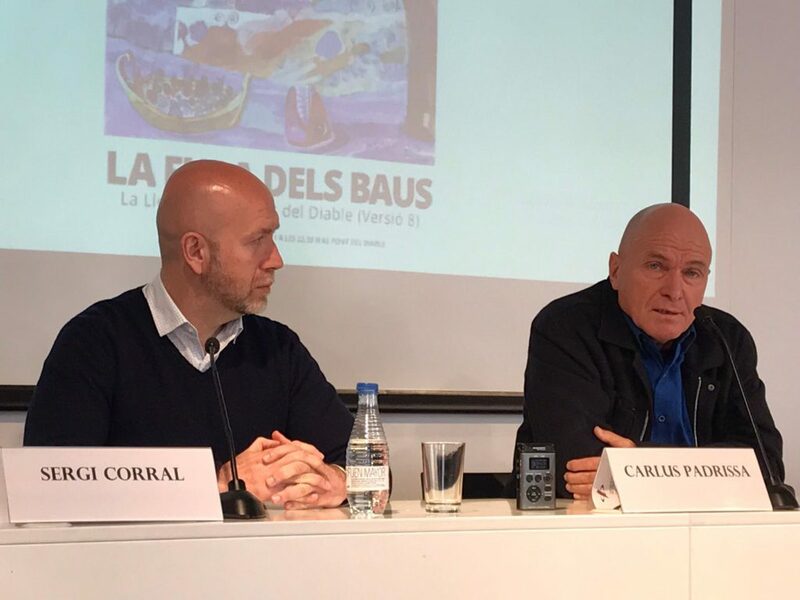 The Councilor for Culture in Martorell, Sergi Corral and the director Carlus Padrissa was at the press conference last Friday April, 5. «After spending last autumn in Martorell working on the opera T.H.A.M.O.S, we have seen that the city is a communication axis and if we could know count the people that go through, we would be surprised for sure: it’s a good place to talk about future sustainability and this will be part of the show» Padrissa explained. At the Pont del Diable in Martorell there is a highway, the AVE, the suburban train, a nightclub, a road and the most industrial river of the country. « But who is the devil of the 21st century really?» asked Padrissa. Anyway, La Fura dels Baus will unmask it on April 27th. ©2019 La Fura dels Baus S.A. All rights reserved.